2019 started with some surprising news from UK game developer Introversion Software. The firm had parted ways with its wildly success Prison Architect IP, selling it to Swedish firm Paradox Interactive for an undisclosed sum. While somewhat alarming news, one of the studio's directors and co-founders Mark Morris sees this as Introversion being able to focus on its future rather than continuously being drawn back to Prison Architect. "We see ourselves as innovators within the space. There are so many directions that Prison Architect could be taken in, so many subsystems and systems that we've still got on the list - the game is almost like a never-ending mine of really cool things. 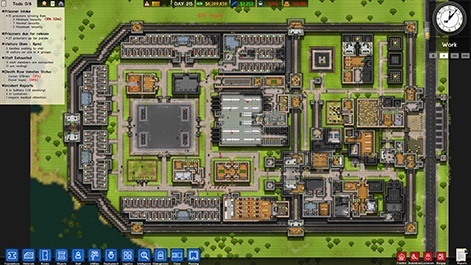 To a certain degree, the focus of the business kept getting drawn back to Prison Architect. We kept having conversations like: 'Well, we might not be able to use somebody to scope out some new prototype because they're working on the last multiplayer update for Prison Architect'. We had to ask ourselves whether we really wanted to continue to be the custodian of this game if that's going to cost us to get focused on the new stuff that we are doing." Paradox snapped up the Prison Architect IP but didn't come back to pick up Introversion itself. While we've heard anecdotally that the Swedish publisher focused on IP rather than studios, Morris says that Introversion isn't up for sale, regardless. "We didn't really want to sell," Morris explains. "When we were first looking at this internally we discussed it. The thing about our back catalogue is that they're great games and we're very proud of them and I'm not sure there's a huge amount of value add that you could do with some of the older stuff. There are certainly some ideas about some bits and pieces that could be exploited, but we've been going for 20 years now. We have six games back in the pot. None of us wanted to do work-for-hire, that's not what we do. "If we sold, all we would do as directors is form another company. We would move from being Introversion to - I don't know - Extroversion and do the same thing again. If we sold the business, there's not a huge amount to sell. There are the previous games and there is value in that. There's a small staff. But it didn't suit us. I'm not sure what the oldest video game developer in existence is, but I would quite like it to be us one day. There are so many companies who stand up, make a game then shut down afterwards. Something is lost when you don't have the heritage. I'd like us to have a long time ahead of us and for us to have a long, proud history of many innovative and great games from this one consistent studio." 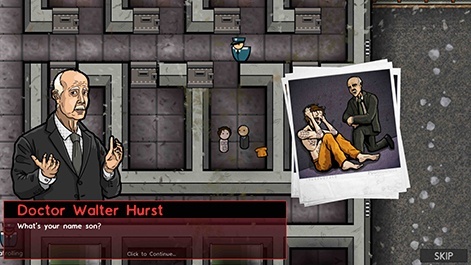 The decision to sell the Prison Architect IP seems somewhat precarious; by the studio's own admission, Introversion has had some very dark times. In 2010 the company had to file for bankruptcy and lay off most of its staff in the wake of the Xbox 360 port of Darwinia+ simply failing to sell. Out of this need for stability came Prison Architect's alpha funding model, which sustained Introversion, allowing the studio to make the game it - and its userbase - wanted. The success of Prison Architect has provided the studio with some stability, allowing it to weather titles such as 2017's Scanner Sombre which didn't hit the mark. In selling the IP, Introversion is getting rid of its safety net, but Morris argues that this is where Introversion does its best work. "In some senses, we were a bit too comfortable," he explains. "I'm starting to have a slight change of heart about how games should be made. Having a large studio with lots of people working for you and then having to force a game out every year because you have wages to pay even if you're not a large studio. Part of the problem with Scanner Sombre and Order of Magnitude was that those games were, in part, driven by trying to meet that wage bill rather than driven by having a great video game idea that we would come together and make. "As it happens, we have another idea in the works and I'm really hopeful that it's going to do well and be really successful. But if it isn't, then we might very well really slim down, almost take a bit of a break, and wait until such a time as a game idea pops up that we really like, enjoy and want to commit to. If you've got loads of money coming from Prison Architect, two things could happen. The first is the temptation to just carry on working on that game, which isn't necessarily good for new IP. Secondly, it can be quite wasteful; if you have a lot of money pouring into the business and you don't necessarily look for those efficiencies and I think that part of Introversion's success has actually come from a certain austerity. "If you look at our games like Uplink, Defcon and Darwinia, they exhibit this best. They're all quite minimal because we didn't have the resources to throw huge teams of people at it in terms of art and modelling and all the rest. That's also a core part of what Introversion does. It's not that we do things on the cheap, we just do things in a very efficient and economic manner, leaving the player's mind to fill in the blanks rather than showing them every single detail. By reducing the resources that we have, it'll be something of a return for us back to that slight pressure to really consider whether we need to a certain level art commitment or whatever it is." Looking further into 2019, the company is hoping to launch a brand new game. No, not Order of Magnitude which was announced in April 2018, but another title that is similar in many ways to that title. But in order to drive attention to the game, Morris says that Introversion is looking into a surprise release. "It's tricky in the industry now; in the past, the idea of trying to generate interest a few months before you kick off with your project - that was how things were done," he explains. "You tried to build a fanbase and try and carry them forward until you are ready to launch, whereas now there are so many games and so much comes out that the players don't have that much capacity to get excited about something that may or may not be released in a week's time, let alone nine or ten months. For us, one day it'll just drop. We'll just release it. Hopefully people will go: 'Oh my god, a new game from Introversion, it's amazing'." He continues: "If you get somebody excited, you want them to come and play immediately. If they're sat at home and they watch that video and they go: 'Yeah, I want this', there's no point in saying to them it's available next week, I believe. What are the chances of them remembering next week or you being able to get hold of them again? "The goal, I think, is selling a game. 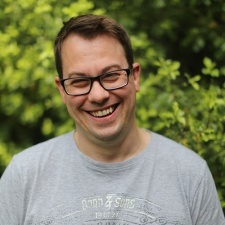 "It's critical to have that call to arms and that ability for the customer straight away to go: 'Yes, I am excited about this', have them go to Steam or wherever and just buy it then and there."